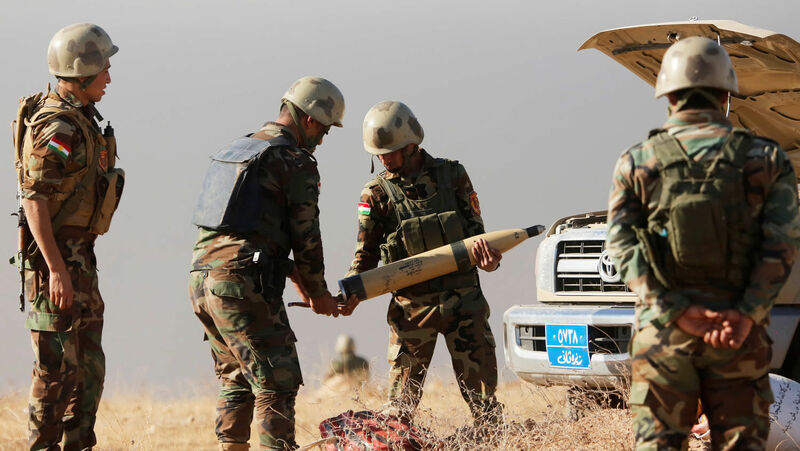 Peshmerga forces prepare to attack Islamic State targets in the Bertela region with Katyusha rocket launchers on Oct. 17, 2016. Reuters’ sources said that Iran is rebuilding Saddam Hussein-era missile factories, with the intent of building missiles in Iraq that are controlled by Iran. The sources also stated that Iran used the Islamic State as an excuse to start sending these missiles into Iraq. Even though the Islamic State has been destroyed, Iran is still deploying missiles to Iraq. “It was clear to Iraqi intelligence that such a missile arsenal sent by Iran was not meant to fight Daesh (Islamic State) militants but as a pressure card Iran can use once involved in regional conflict,” Reuters quoted an Iraqi official as saying. How’s that for an admission that Iran rules Iraq. Trumpet correspondent in Jerusalem Brent Nagtegaal focused on this angle of the report in his Trumpet Hour segment last Friday. The Iranians control Iraq so completely that they can send in ballistic missiles and set up missile factories, and there’s nothing the Iraqi government can do to stop them, even if it wanted to. Now we see that Iran used the fight against the Islamic State as an excuse to increase its power over Iraq—power that it does not intend to give up. “America is celebrating the fall of the Islamic State. But the reality is that it has just suffered its greatest defeat ever in the Middle East—and helped to crown Iran the victor and king!” Mr. Flurry wrote in “America’s Greatest Defeat—Iran’s Victory” in the January 2018 Trumpet issue. This truth is more obvious now than ever. For the biblical proof that Iran fulfills this role, read Mr. Flurry’s free booklet The King of the South.